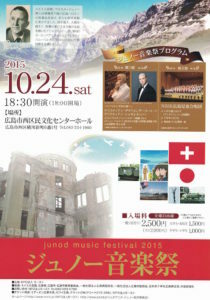 Junod Music Festival is held as a charity music festival once a year. 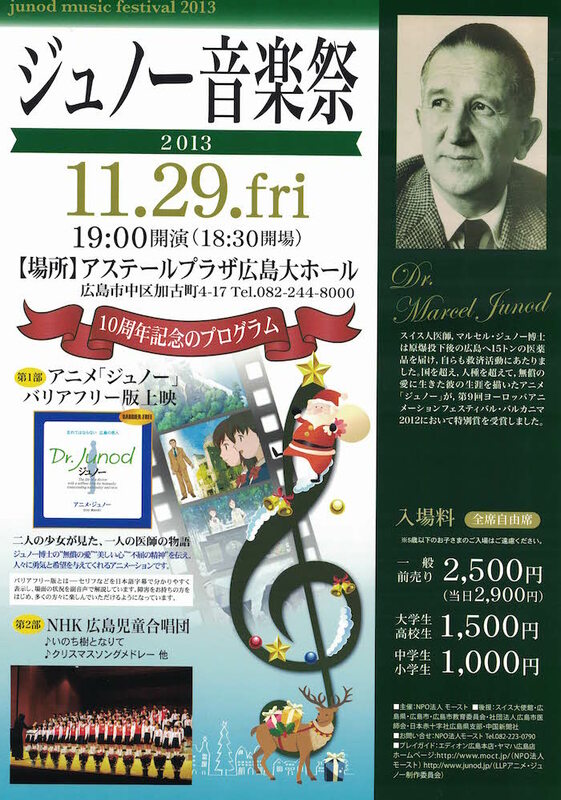 This sends a message to the audiences about the preciousness of love and courage beyond generation respecting the spirits of Dr. Marcel Junod, who was a Swiss doctor of the International Committee of the Red Cross, carried fifteen tons of medical supplies to Hiroshima after the dropping of the atomic bomb, and did relief activities on his own as well. 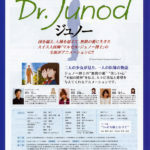 Revenue is used for foreign medical support activities and others in order to follow in Dr. Junod’s will. 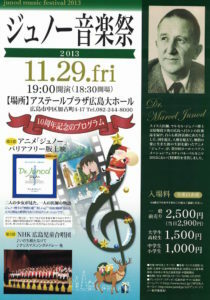 Mr. Sai was born in Hiroshima city and started Oboe at the age of 16. He graduated from Music Dept. 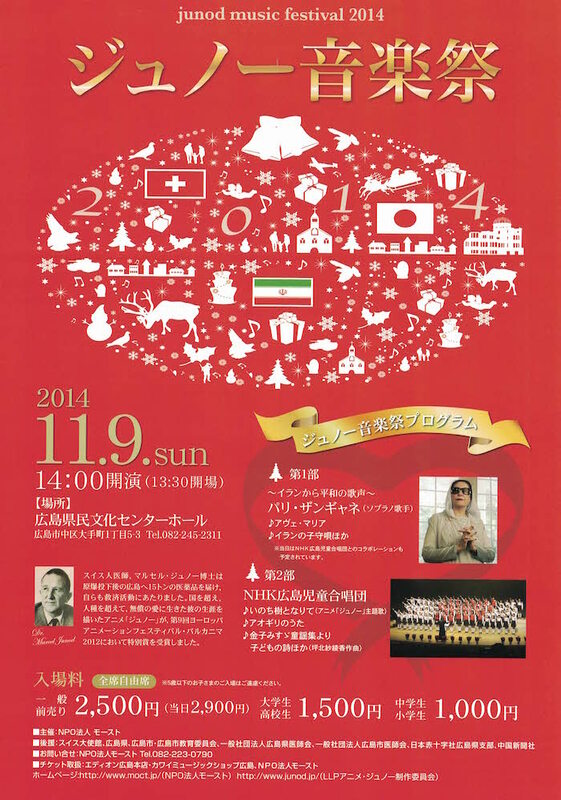 of Tohogakuen University getting diplomat in ensemble. He won Encouragement Prize at the 1st Yongsan Oboe Bassoon Concour. 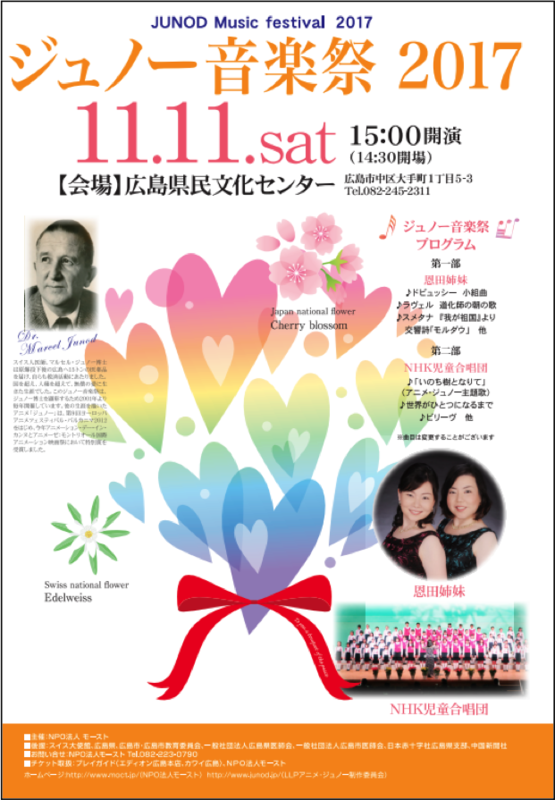 Performing with orchestras in Tokyo and Hiroshima Symphony Orchestra, and playing in musicals and others as a freelance oboe virtuoso. First desk of the guest appearance of Tokyo Kosei Wind Orchestra. 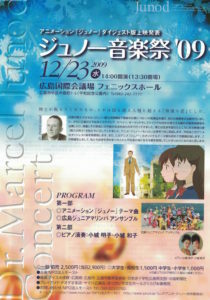 Member of YA=HYANG Wind Quintet and Trio d’anches de Ouest. Developing to perform with other orchestras and as a soloist and an ensemble player, and to mentor younger players. 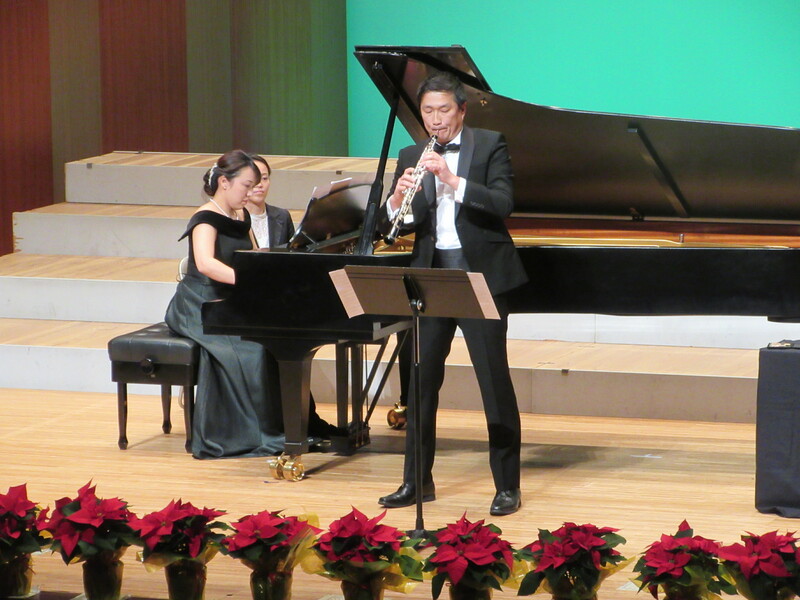 Oboe mentors are Mr. Seizo Suzuki, Mr. Fumiaki Miyamoto, Mr. Kozo Kakizaki, and Mr. Daisuke Mogi. He took a master class in Lothar Koch. 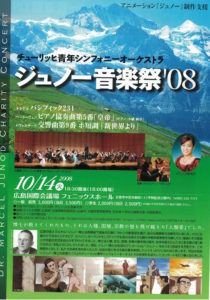 Ensemble mentors are Mr. Ryohei Nakagawa, Mr. Yoshiaki Suzuki, Mr. Karl Leister, Mr. Kouei Asano and Mr. Fumiaki Miyamoto. 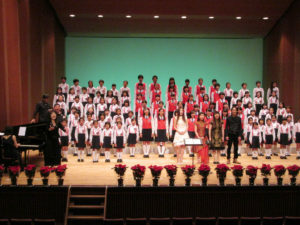 Ms. Akiko Kojo graduated from Kenshin Gakuen Hiroshima Music High School. 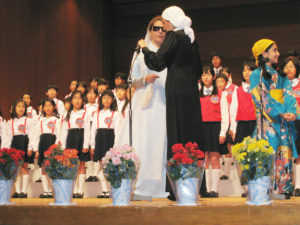 While in school, she performed at regular concerts and graduation concert. She graduated from German National University of Music Würzburg getting diploma. 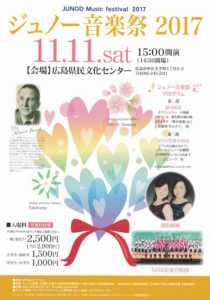 She was selected as the 3rd Nakamura music scholar. 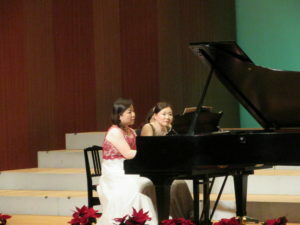 She finished the master majoring in piano at Elizabeth Music University Grad School. 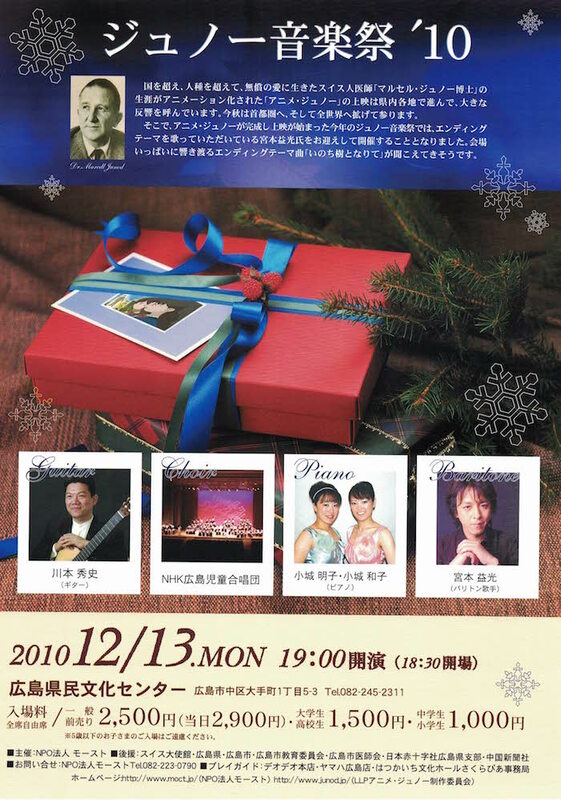 She won the 3rd prize in PIARA Piano Concour (no-1st prize), and won in Kyoto Piano Concour, performance award in PTNA Piano Competition advanced piano duet and others. 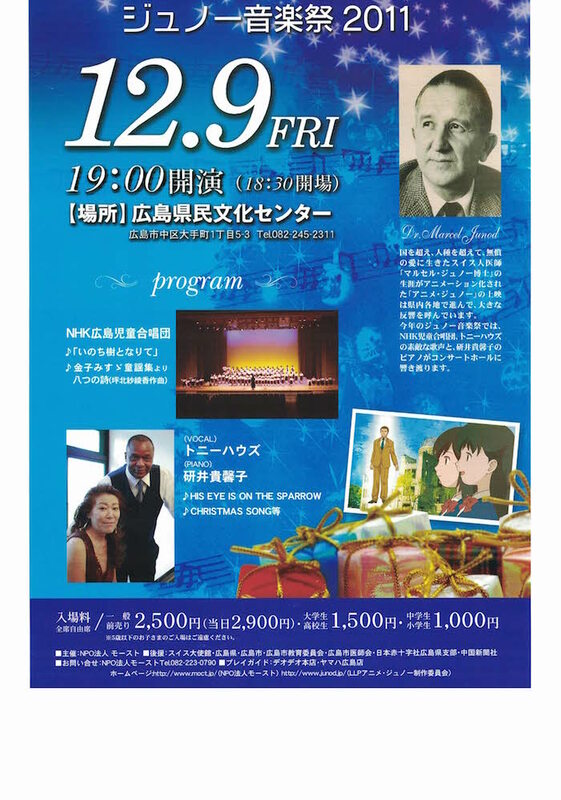 She played with Kulakov Chamber Orchestra in Hiroshima and Kulakov (Poland), and in the concert of the 20th anniversary of Hatsukaichi city’s municipalization. She performed with a younger sister Kazuko at Junod Music Festival five times with excellent reputation since 2005. Mentors are Ms. Ayako Hosoyamda, K. Betz and Ms. Kyoko Sato. President of Studio KOJO. Full member of PTNA (Piano Teachers’ National Association of Japan). 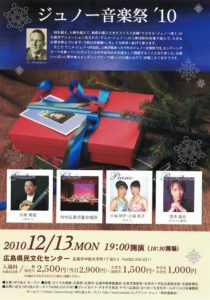 Kure Musician’s association member. 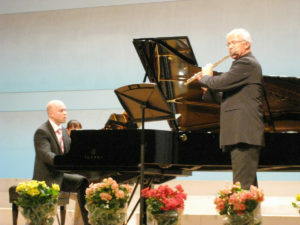 Mentoring younger players and performing at concerts, as a piano accompaniment, and as a translator for lessons (German) and a jury of a variety of concours. 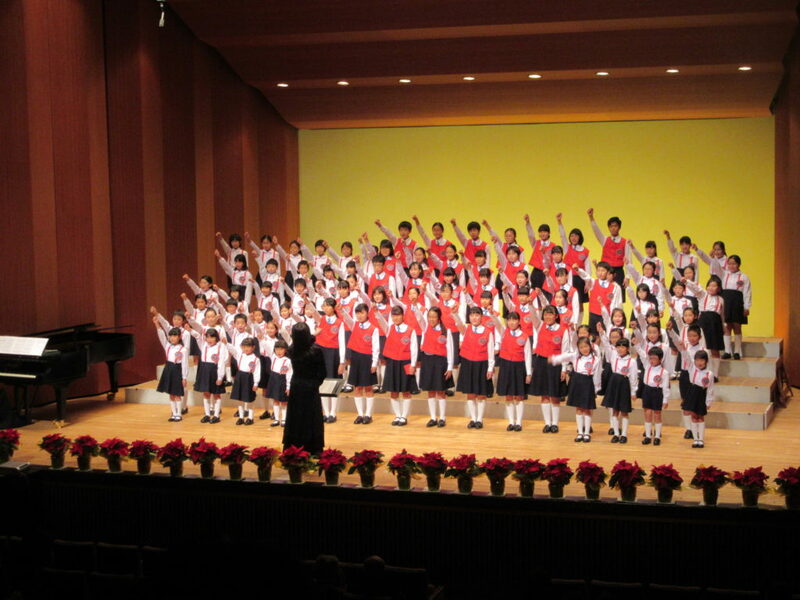 In April 1961, NHK Hiroshima Children Chorus was founded as a children choir which is mainly for NHK broadcasting. 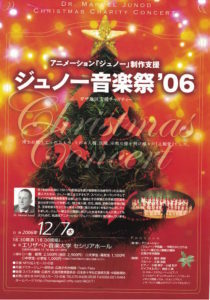 Since then they perform a variety of activities such as at NHK broadcasting programs and events, and at regular concerts and many other ones, opera, musical and Hiroshima Peace Memorial Ceremony on August 6. 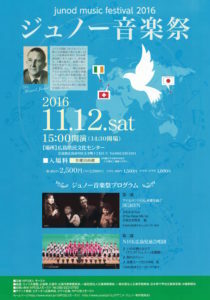 In 1982, they were sent to UK on a mission of the 15th Music Educational International Conference (ISME) as a Japanese representative. It was the beginning of foreign performance trips. Later they visited Germany, Austria, France, Italy, Canada, Czech Republic, China and South Korea, which are 16 times in total. 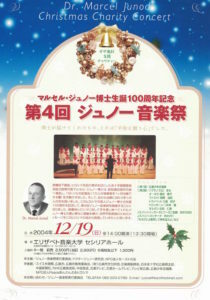 Moreover, they promote international goodwill to have chorus groups from overseas. 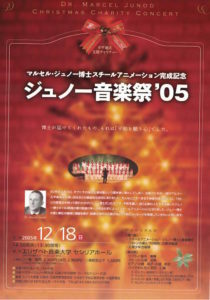 Hiroshima Culture Award in 1991. 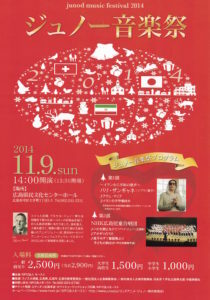 The 12th Hiroshima UNESCO Activity Incentive Award in 2010. 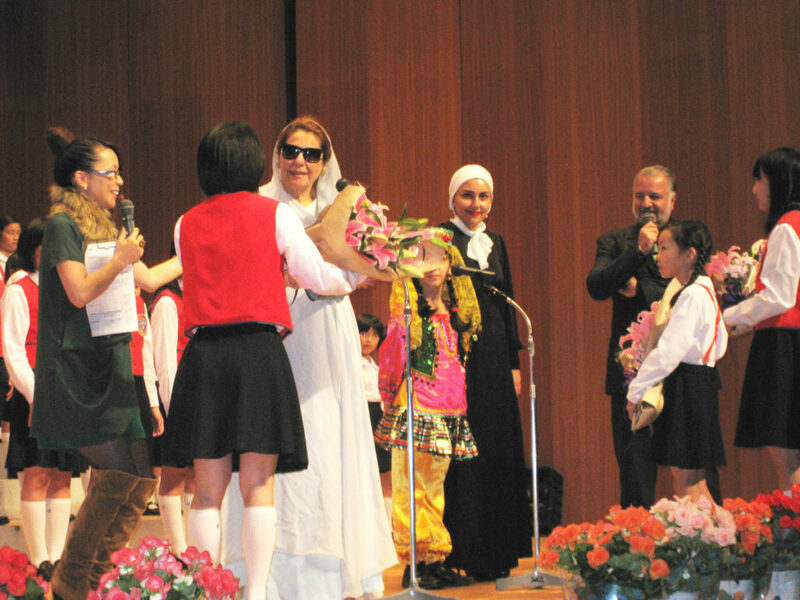 Hiroshima Regional Culture Meritorious Person Award in 2012. 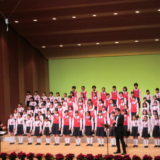 As a chorus group of the international peace cultural city “Hiroshima”, they keep in their mind to send a pray for the peace widely by their voice. Approx.100 members from the 1st grade of elementary school to High school students put forth effort to practice twice a week for a better performance and harmony of the chorus. 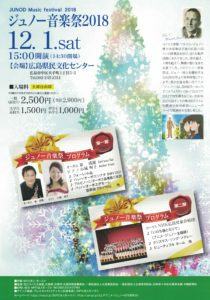 It would be greatly appreciated for your kindness for running ads in MOCT’s event programs every year. 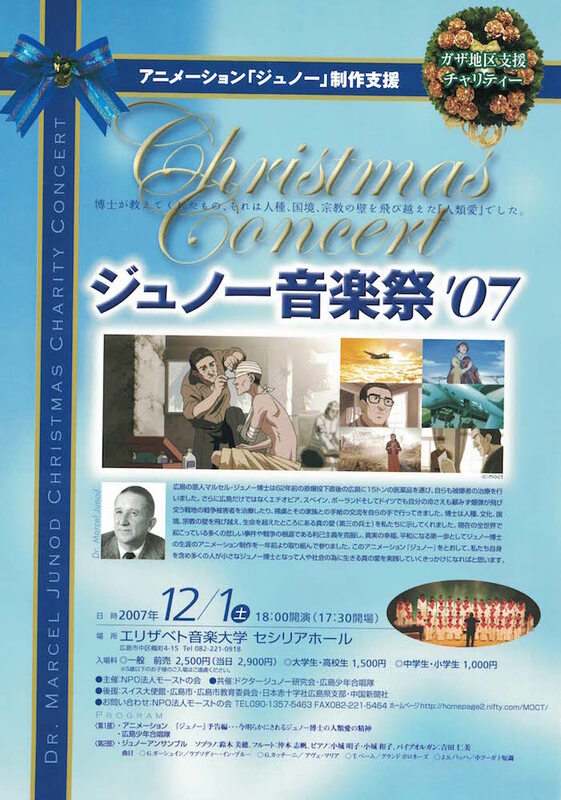 The more sponsors we have, the more we will be able to do – foreign medical support and exchange, donation of DVD Anime “Junod” to school, and other activities. Thank you so much for your sincere understanding. 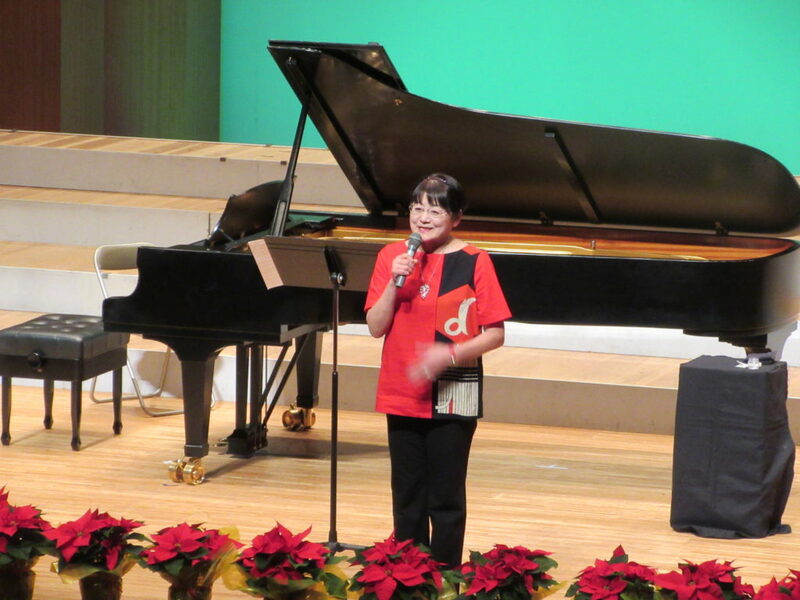 Ms. Onda graduated from Elisabeth University of Music where she majored in Musical Instruments Department of Piano course and obtained a Ph.D. finishing graduate master and doctoral courses at the graduate school. She completed a piano course at Department of Music, Tokyo University of the Arts. She won prizes at various competitions. 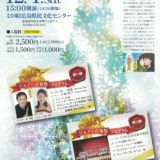 She received the first prize at the 10th Chugoku Youth Music Competition, and won a prize at the 15th JPTA Piano Audition, then performed at the winners concert. She got the first prize of Sakurapia Award at the 2nd Sakurapia New Players Competition, the first prize at the 7th International Grate Wall of China Concert, and the award of Consulate-General in Osaka, the People’s Republic of China, and others. 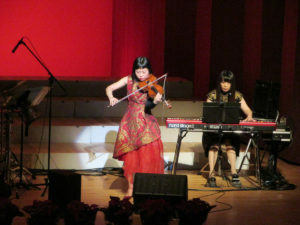 She performed with Orchestra of Elisabeth University of Music and Slovak Ladies Chamber Orchestra. 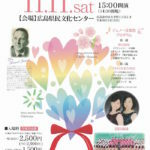 Favorable reputation comes out every time she has a regular piano recital and piano duo concert with her sister Ms. Kana Onda. 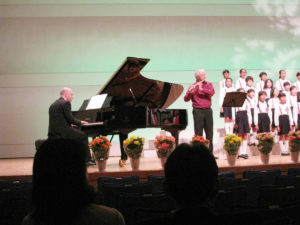 Piano mentors are Yoshiyasu Hamamoto, Shozo Tsubota, Late Halina Czerny-Stefańska, Hiroko Tsushima, Miho Shibata, and Susumu Aoyagi. 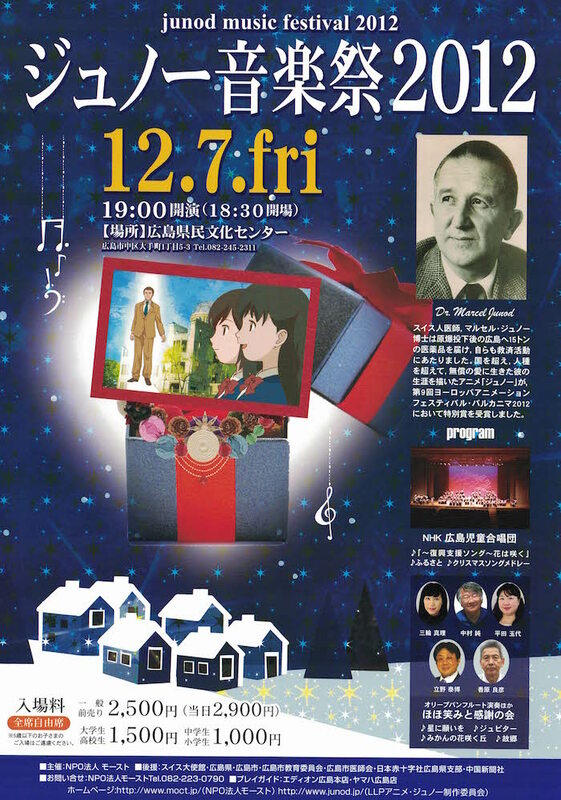 Nowadays, she is a judge at every kind of piano competitions such as Chugoku Youth Music Competition, a guest associate professor at Graduate school of Education, Hiroshima University, and a part-time professor at Elisabeth University of Music. Ms. Onda graduated from Department of Music at Tokyo University of the Arts. 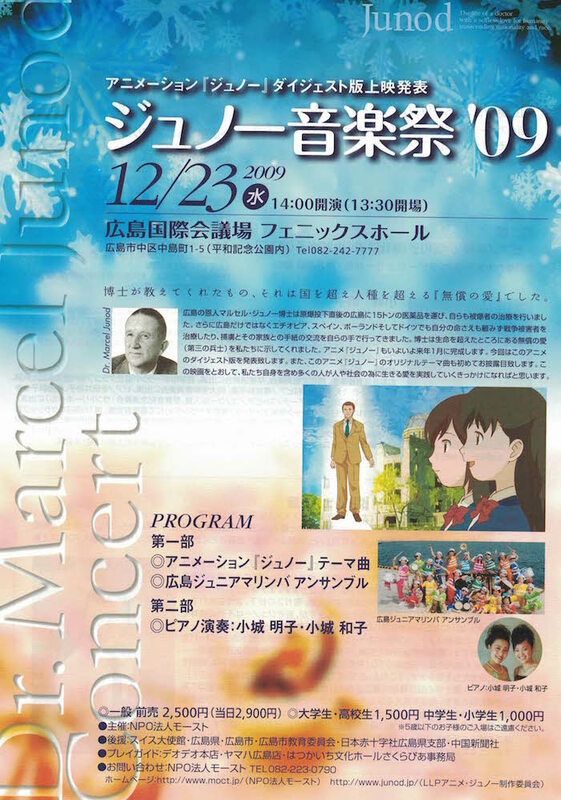 In 2005 when she was a graduate school student of Tokyo University of the Arts, she won a grand prize of piano part at Iizuka New Players Music Competition and the Incentive Award of the Minister of Education, Culture, Sports, Science and Technology. In 2006 she got a silver prize at the superior grade along with an Oji prize at PTNA Piano Competition and a Mitsubishi Pencil Award. 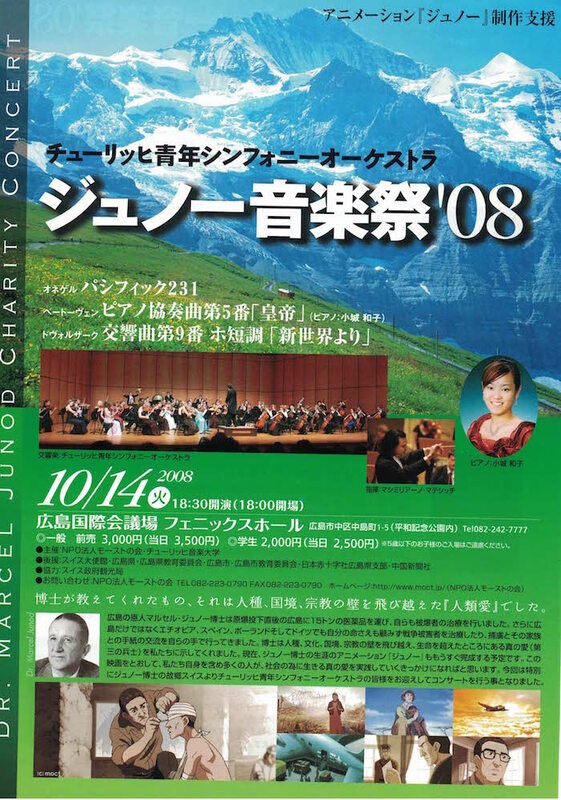 In 2009 she studied abroad at Department of Piano, University of Music Freiburg, Germany. 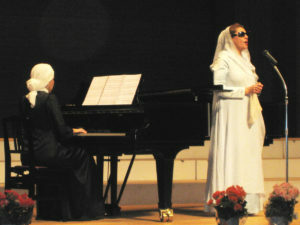 She completed at the top of her class in the soloist diploma course and got a German certification for piano artists. In 2009 she received the first prize at Lepthien Piano Concour (German) and was the finalist at Lyon International Piano Concour (France). 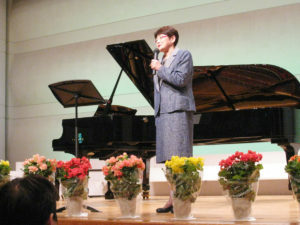 She came back to Japan in April 2013, and received a favorable reputation holding homecoming piano recitals in Tokyo and Hiroshima in November. 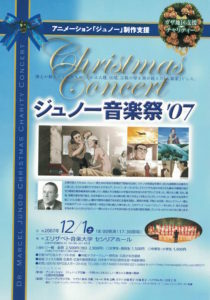 She performed with Hiroshima Symphony Orchestra, Slovak Ladies Chamber Orchestra, and Tokyo New City Orchestra and others. Mentors are Yoshiyasu Hamamoto, Takahiro Seki, Susumu Aoyagi, Gabriel Tacchino and Gilead Mishory. Part-time professor at Department of Piano at Tokyo University of the Arts as of November, 2017. 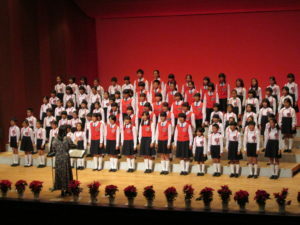 In April 1961, NHK Hiroshima Children Chorus was founded as a children choir which is mainly for NHK broadcasting. 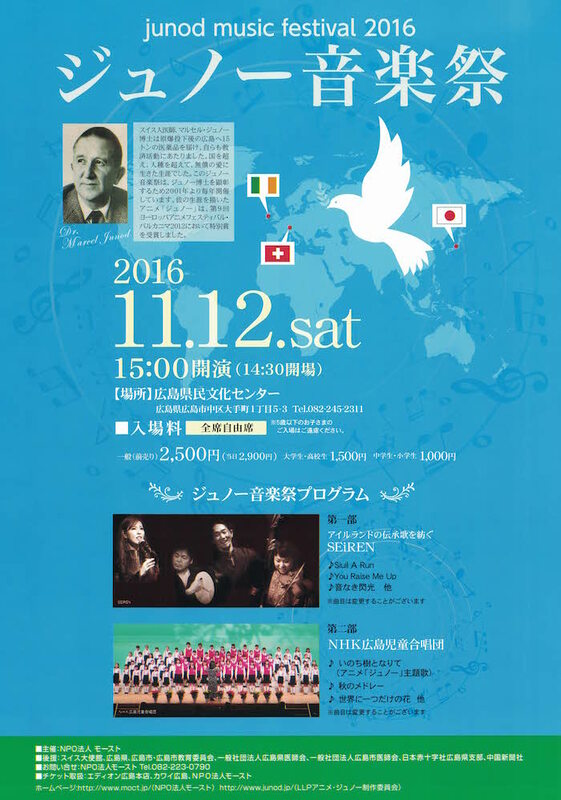 Since then they continue a range of performances as a chorus group of an international peace cultural city “Hiroshima” at home and overseas adjusting the transition of the time. 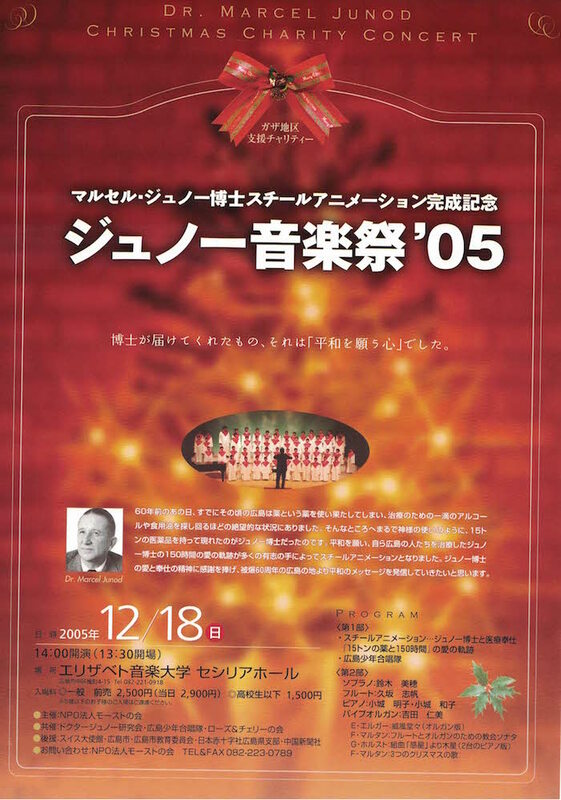 As main activities, they perform at NHK broadcasting programs, events and regular concerts throughout a year; Hiroshima Music Festival of Children’s song; Western Japan Nakayoshi Children Chorus Festival; and Christmas Concert, etc. 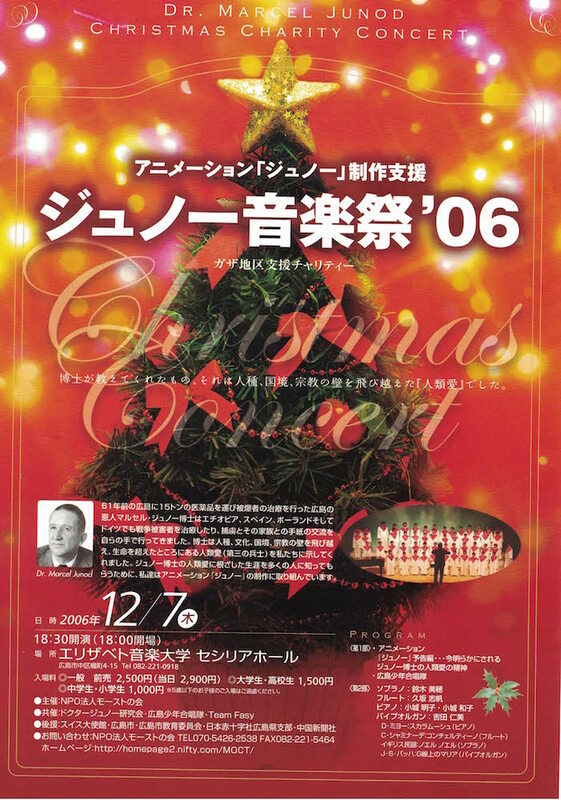 As guest performances, so many times they participate in Hiroshima Opera Renaissance performance, local opera group-musical performances in Hiroshima, and Nikikai Opera “Carmen” as well. 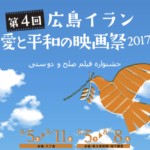 They send a message to the world along with the preciousness of peace by their singing at Hiroshima Peace Memorial Ceremony on August 6th every year. On the other hand, they promote international goodwill through the singing as well as homestay and joint concerts with foreign chorus groups and artists. 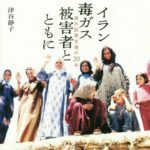 In 1982, they were sent to the United Kingdom on a mission of the 15th Music Educational International Conference by International Society for Music Education as a Japanese representative. It was the beginning of foreign performance trips. Later they visited Germany, France, Italy, Austria, Czech Republic, Canada, China, and South Korea, which are 16 times in total. Moreover, Hannover Girls Choir visited Hiroshima in October 2017 so that they had a reunion for the first time in a year and a half. 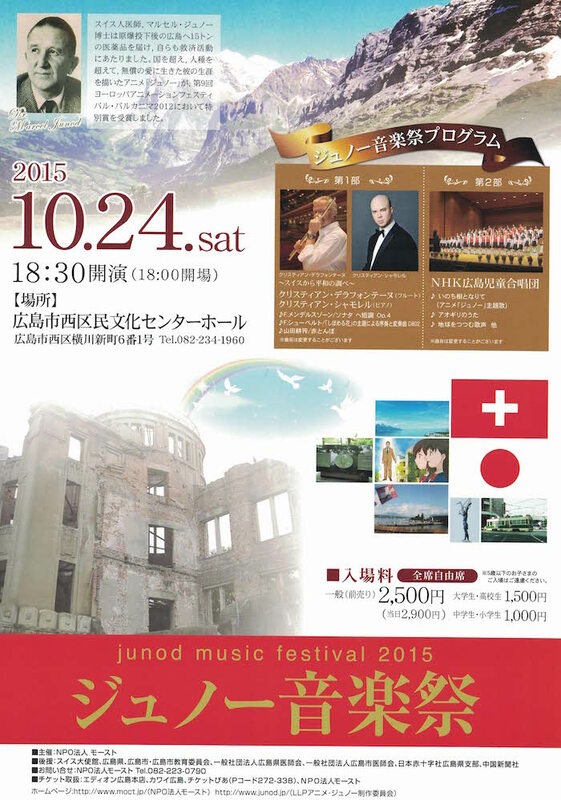 They deepened the friendship and the goodwill through the exchange and the joint concerts. 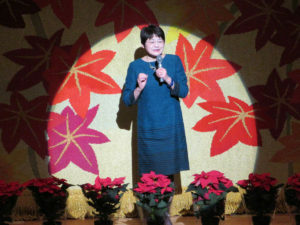 Hiroshima Culture Award in1991, a Hiroshima UNESCO Activity Incentive Award in 2009, a Hiroshima Regional Culture Meritorious Person Award in 2012, and others went to them. 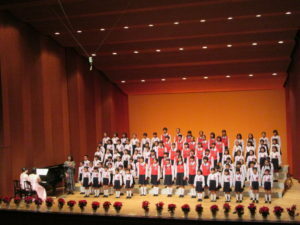 Nowadays, members are about 100 in total from the 1st grade of elementary school to High school students. 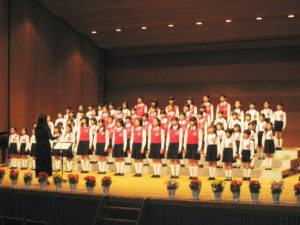 They put forth effort to practice twice a week for a better performance and enjoyment of the chorus no matter how different school and age children belong.